The Nailsworth-based WinBiz networking group has just announced its forthcoming (Thursday 10 July 2014) quarterly evening meeting. I’m very excited because Helen Westendorp of Treehouse Partners Ltd, the Gloucestershire-based creative-thinking consultants, will be our guest speaker. We’ve been primed to come along with problems that need solving, open minds and colourful clothes. 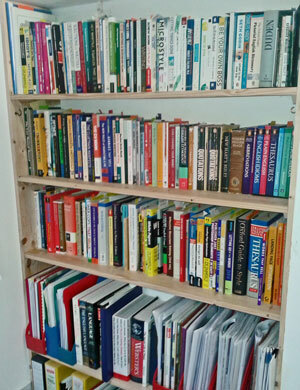 But in the meantime (and following on nicely from last week’s ‘copywriter’s shelfie‘, I got thinking about some of the books in my library that have been helpful when my creativity as a Gloucestershire copywriter needed a boost. I read my first Tony Buzan book longer ago than I care to remember. 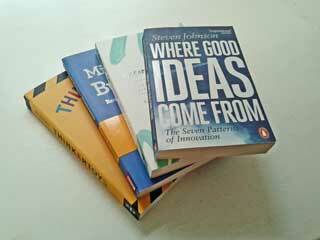 Buzan is a master of reworking his basic ideas into an unceasing flow of books to complement his mind-mapping empire. Good for him! Those basic ideas are good and his books are fascinating and inspirational – worth the price just for the beautifully reproduced examples of mind maps. I recently picked up a bargain-priced pre-owned copy of Mind Maps for Business. If you’re new to mind-mapping, it’s worth a pop, particularly when you can get a second-hand copy so cheaply on Amazon. A book that’s currently sitting in my (scarily large) to-read pile is Creative Confidence by Tom and David Kelley. This came highly recommended and I’m looking forward to getting started on it. The solid five-star Amazon rating speaks volumes – as does David Kelley’s reputation among Stanford, California’s academics and the Silicon Valley entrepreneurial set. What works well there should work well for one of the copywriters in Cheltenham! 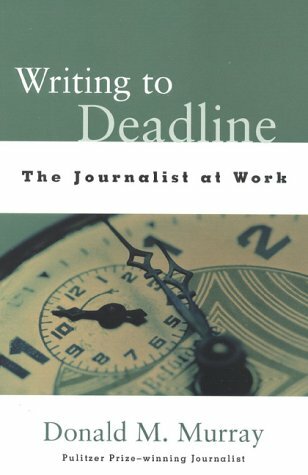 Writing this has spurred me on to read it when I have finished my current bedside reading (Isaac Asimov’s autobiographical I, Asimov, Victor O. Schwab’s How to Write a Good Advertisement and Designing Quality Technical Information (Gretchen Hargis et al). Back to another book that I have already read: Steven Johnson’s Where Good Ideas Come From, which I devoured during a week-long spring break in Marrakesh a couple of years ago. This is a good introduction to Johnson’s substantial body of work. The basic themes of the book are that ‘connected’ minds work better than single minds, where you think can be more important than what you think, and that the best ideas come from building on the ideas of other people. From MIT’s legendary Building 20 to present-day Apple, this is an inspiring read in one sitting or as something you dip into. 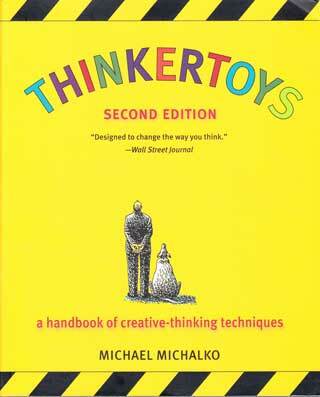 Lastly, I must mention Michael Michalko’s Thinkertoys, a veritable creativity toolbox (or should that be toybox) that is never far from me. Thinkertoys is packed with hundreds of hints and tips to open your mind when you are wrestling with an apparently insoluble problem. Again, you could read this in one go, but it lends itself perfectly to use as a creativity-thinking first-aid kit. So, if you need a boost of creativity, and you are based in Gloucestershire or surrounding counties, come along to WinBiz at The Egypt Mill, Nailsworth, on the evening of 10 July 2014 – or get over to Amazon or your favourite bricks and mortar bookshop for a copy of one of my recommended books. This entry was posted in Copywriting Resources, Uncategorized and tagged copywriter in gloucestershire, copywriters in cheltenham, creativity, helen westendorp, michael michalko, mind mapping, mind maps, steven johnson, thinkertoys, tom and david kelley, tony buzan, treehouse, website copywriting, win-biz, winbiz on May 23, 2014 by alwrites.